SWEET! 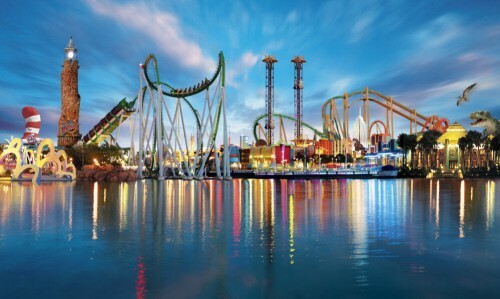 Flight to Florida, 1 week in hotel and 1 week car hire for only €422! 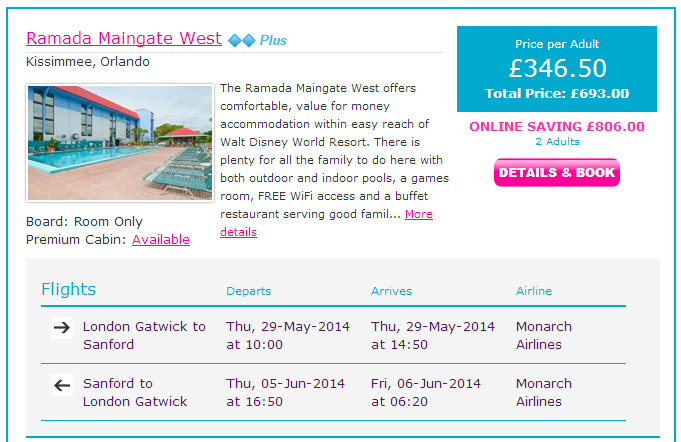 Monarch Holidays now offer super sweet holiday package deal to Florida, USA! Return flight from London Gatwick to Orlando, 1 week in great hotel with swimming pool and 1 week car rent is now available for only €422 / 364 GBP! Weather is already hot in Florida so you can enjoy the sea or visit one of many entertainment parks. Ramada Maingate Hotel located in Kissimme looks pretty sweet with nice swimming pool. You can also choose many other upgrades for great prices like VIP lounge access at the airport. « Once again cheap flights to Japan: Tokyo for €449!